Ski touring requires specific equipment to maximize pleasure and safety. 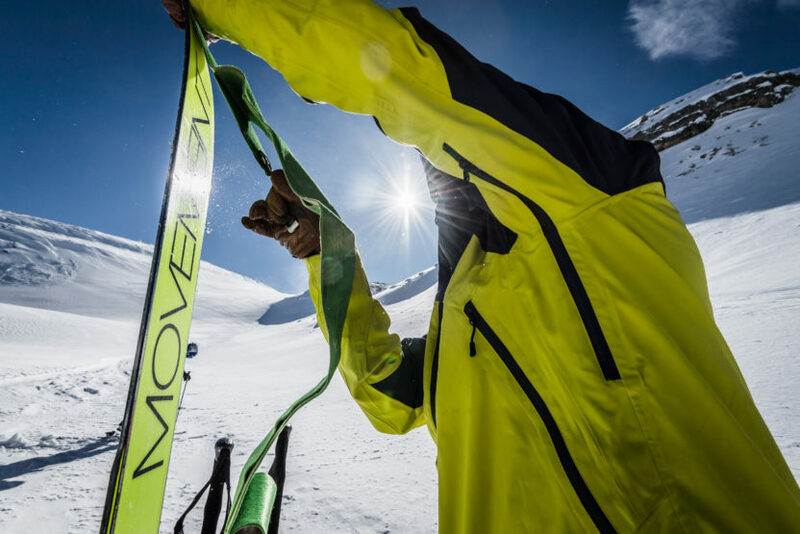 From the snow shovel to the avalanche detector, to the backpack and the perfect clothes for this activity, Hefti Sports offers a whole range of items to take full advantage of an upcoming ski outing. Touring skis are constantly evolving and we must be able to meet the demands of an increasingly demanding market in this area. This year we offer different models of skis sophisticated and efficient; Movement Alptracks 89 and 94, Dynastar Vertical, Black Crows Freebird Camox, Black Crows ORB and Stöckli Hedge Tour. In order to guarantee professional equipment, these are equipped with light weight bindings from Dynafit, Fischer, Salomon and Marker Alpinist. Despite good snow conditions and top equipment, if the boot is not suitable for the feet, the day may be ruined. Our expert team is here to find the shoe that best fits each morphology. It is possible to try several boots at Hefti Sports, the brands are Movement Salomon and Scarpa. Thanks to the BootDoc scanner we can do a 3D foot analysis and make a custom insole that will guarantee a comfortable shoe.